Kudos to Travis Marshall of Pilot Hill for his great catch, an 8 lb. 8 oz. Rainbow Trout.....from shore even at the boat dock using a worm!! Jim Pack of Marysville was quite happy with his 2 lb. 8 oz. trout which he caught off the beach on PowerBait. Travis Marshall and Rich and Brian hooked five trout total as a group. Jesco Green limited out on trout also using PowerBait off the sandy beach. 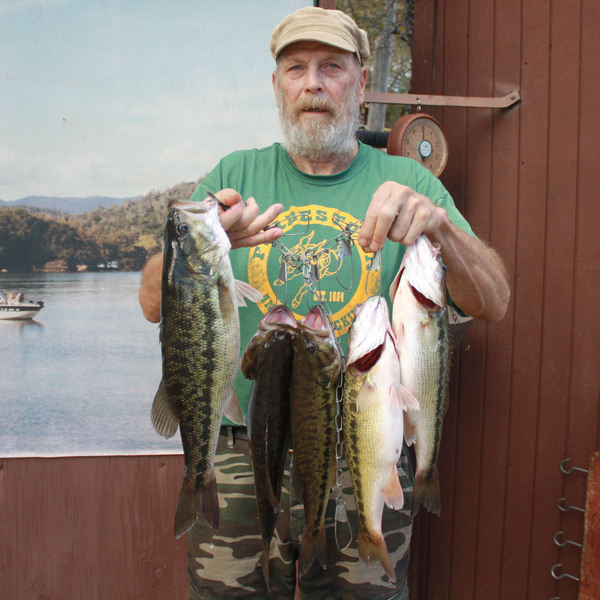 Ron & Scott caught one limit of trout by the beach on PowerBait. 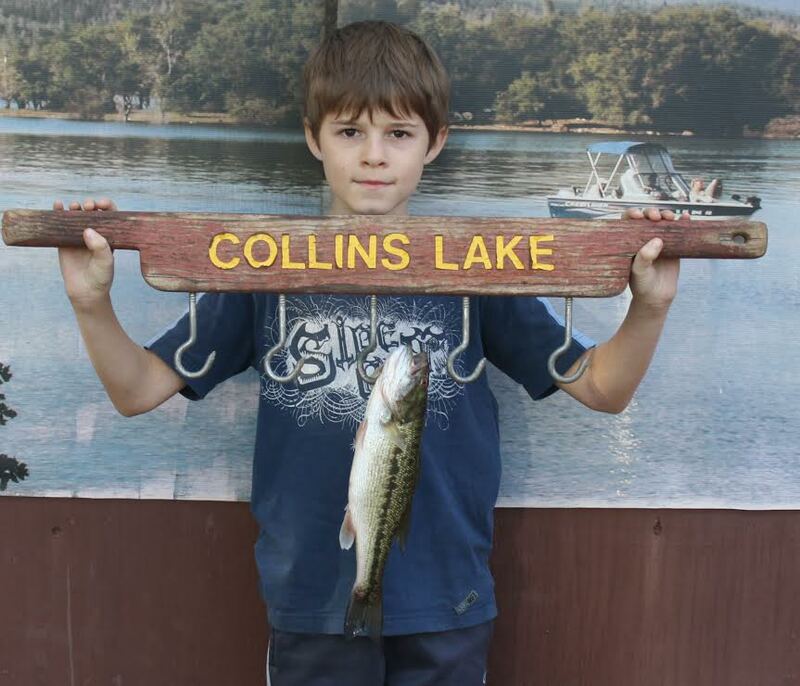 Colin of Fairoaks caught his FIRST fish ever and Isaac also caught one, but it wasn't his first!! Martin Luna of Gridley topped his stringer with a 3 lb. Bow using salmon eggs on the east side from a boat. Jackson Phipps caught his FIRST fish by the beach and Landon & Caynen caught their FIRST fish by the dam on pink/white mice tails. Dylan and Steve hooked their FIRST fish by the Open Area using PowerBait. Louise Goodwater trolled a Rapala lure and hooked a huge 3 lb. 4 oz. Rainbow about 15' down. Owen Joseph from Loma Rica landed a trout and a catfish which weighed 4 lbs. 4 oz. The following photos are compliments of the NorCal Fish Whisperer tournament. Their leader said it was a fantastic day and superseded all their expectations!!! 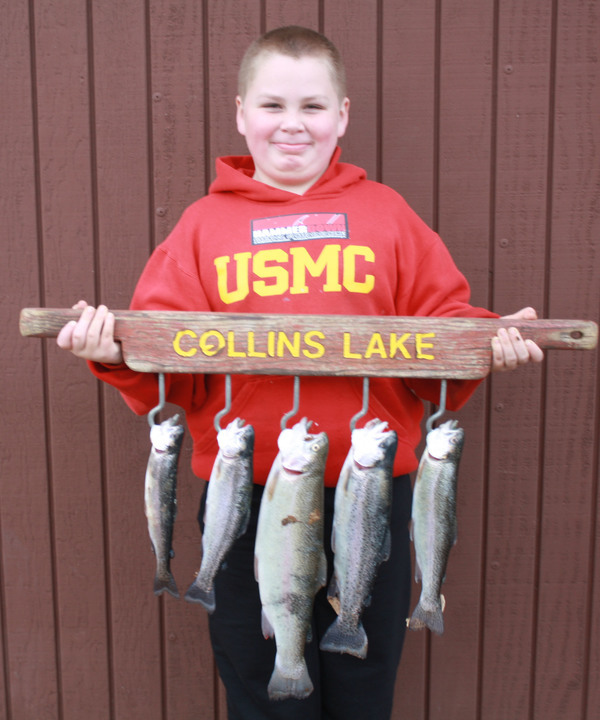 Collins lake reports lots of fish in December!